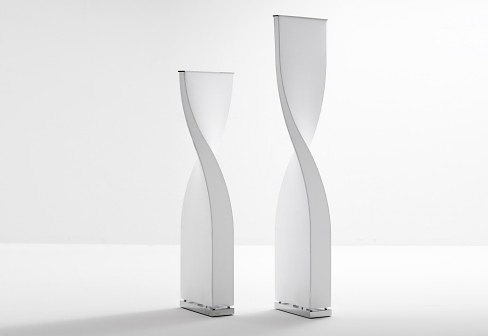 Floor lamp providing soft, diffused lighting, available in two different heights. Inner metal frame, white powder coated. Diffuser in white translucent elastic fabric, (washable at 40°C). Polished chrome steel base.